Making the better choice (or sometimes the best choice) each and every day can be quite difficult. When I head to a party or outing with friends, I can hear the devil on one shoulder and the angel on another bicker back and forth. 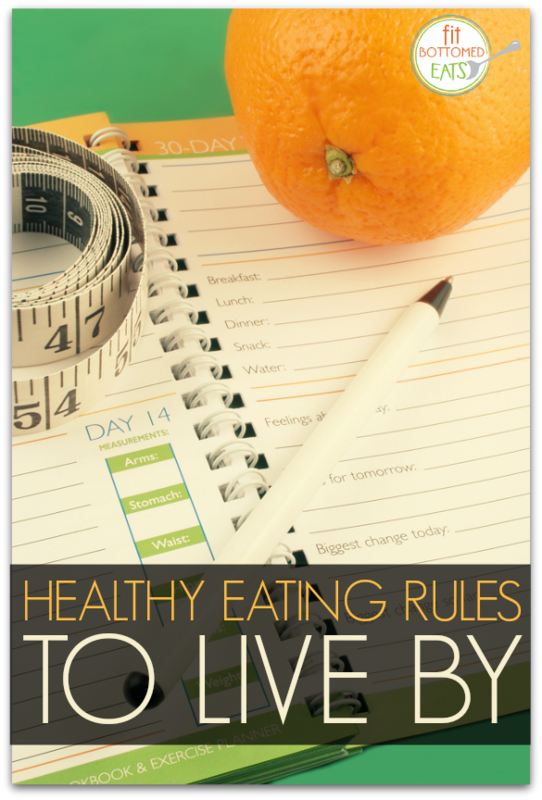 As much as I do believe in eating healthy and moderation, here are a few of my healthy eating rules that keep me headed in the right direction and on track when my internal bickering wants to get the best of me! 1. Each meal should be balanced. Unfortunately high-carbohydrate meals seem to be easily accessible, especially when we are in a rush. I do my best to include protein in every meal. Some of the protein sources I love the most are lean-ground turkey, steak, chicken, white roughy, egg whites and protein powder. 2. If it’s processed, you can make it at home! I am a sucker for sweets and sugar, but with many of those goodies stuffed with fillers, chemicals and colors…you know, red #40 and Yellow #5, I try to make all my sweets at home. That way I know exactly what is in my food, AND I can attempt to make them slightly healthier. 3. Drink one gallon of water a day. I know that sounds ridiculous, especially when the recommended daily consumption is eight glasses of water. The reason I shoot for a gallon is because I like to keep myself well hydrated, especially when I’m working out. Also, drinking a glass of water before every meal helps control overeating, which can be hard for me when there are so many wonderful treats around! 4. Drain fat when cooking meat. I know it’s just a little thing, but if I’m going to take in fat, I want it to be good for my heart and fit for my bottom! Meat can contain lots of saturated fat, which can cause bigger problems than an extended waistline. Next time, drain the fat and replace the saturated fat with some delicious mono- and poly-unsaturated fats, such as olive oil, nuts and avocado—yum! 5. Shake what your mama gave ya! Move around! I personally love working out, and you have to pry me away from popping in a new workout DVD or heading to the gym. But, I know not everyone loves working out as much as I do, so my biggest suggestion to everyone is to find something you love to do to stay active. 6. Trade the coffee date with a walking date. Here’s the scenario: You head to your nearest coffee shop to catch up with your girlfriend. In the midst of all your laughing, you order your vanilla latte and blueberry scone. You’re probably wondering what’s wrong with that? Well, if you’re like me and find yourself catching up with friends weekly, then do your rear a favor and meet for a walking date instead. All those scones and lattes add up, and it usually never tastes as good as it looks. So shake what your mama gave ya (see number 5) and catch up while working toward better health! 7. Enjoy yourself! What I mean by this is to eat clean 80 percent of the time and enjoy yourself the other 20 percent. Life is about making the most of it. We really shouldn’t get down about that extra bite of chocolate cake we had last weekend. If you enjoyed it, great! Now, get back on track and eat healthy. In fact, that’s the whole mission of Fit Bottomed Eats!